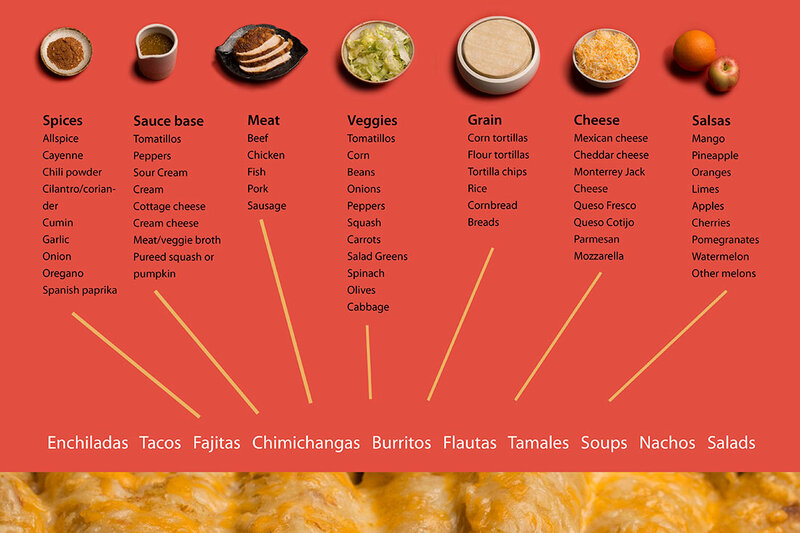 I also discovered that most Mexican and Southwest dishes include the following basic categories – spices; sauces of various kinds (the most common have a tomato base, but other bases can be substituted); meat, poultry or fish; vegetables, whether salad greens, vegetables for sauces and salsas or dried beans; grain, most commonly in the form of tortillas; and cheese of various kinds. These categories can be combined and cooked in a variety of ways – grilling, roasting, baking, frying, stewing in a crockpot. Once you understand how to combine these basics in various ways, you can quickly put together a delicious Mexican meal from ingredients you have on hand. The following recipe can help make that process easier. 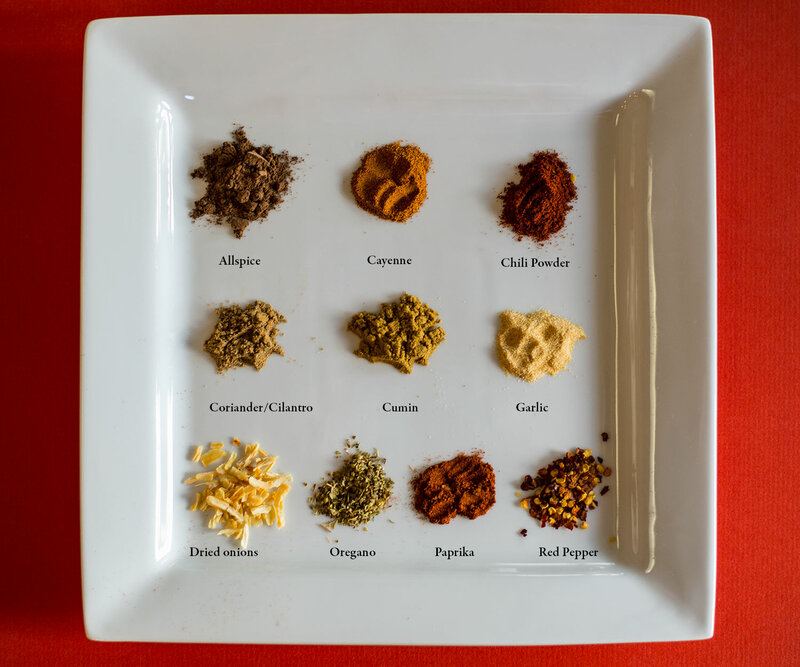 It is a basic seasoning mix for just about any kind of Mexican or Southwest food. Just mix the ingredients in a jar and add the mixture to taste to meat or sauces for use in enchiladas, tacos, fajitas, quesadillas, on nachos or in tortilla soup. Donna Rouviere Anderson is writing a cookbook called The No Tomato Cookbook, for people with tomato allergies and intolerance.